Week of Prayer for Christian Unity – 18th to 25th January, 2019. 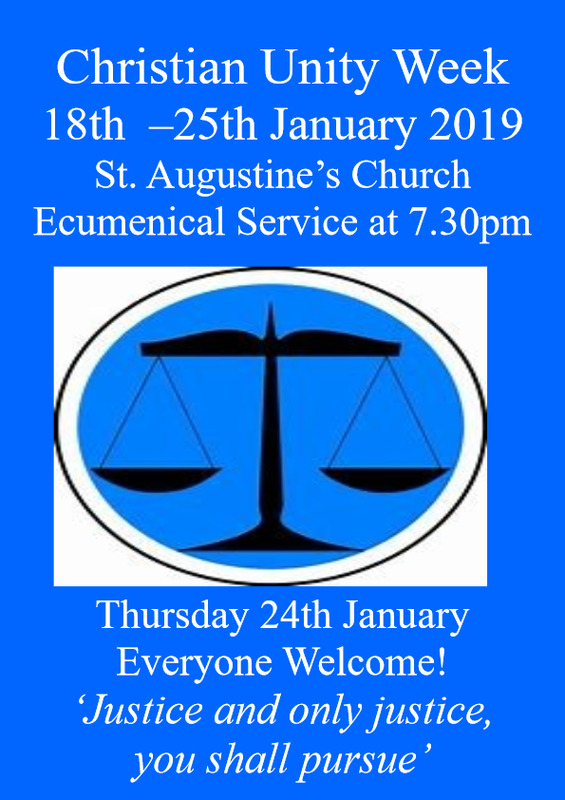 A service of prayer for Christian Unity will be held in the Augustinian Church on Thursday 24th January 2019 at 7.30. 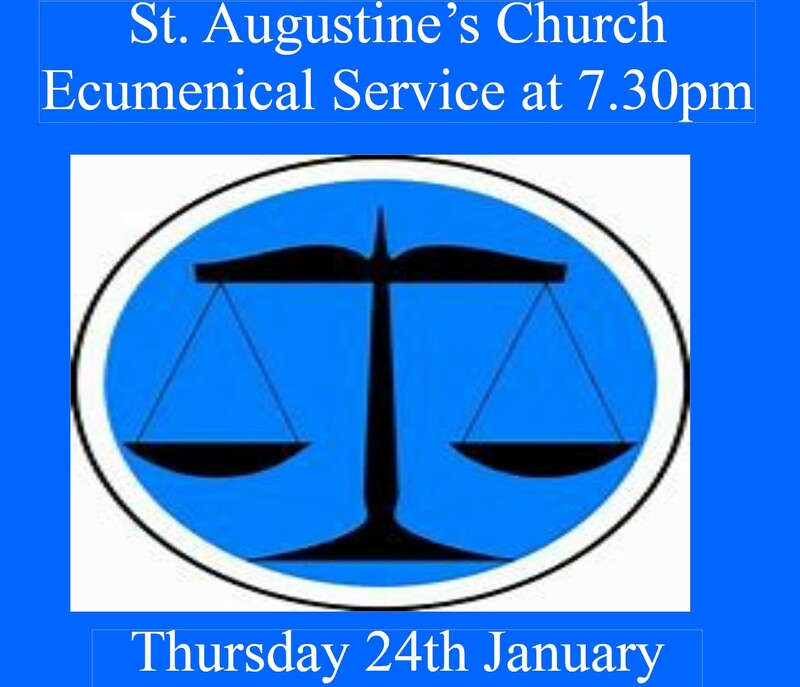 We look forward to welcoming Christians from all denominations to pray together. The service will be followed by tea and coffee giving us an opportunity to talk to each other.